Waiting for the Halloween season? Of course, you are! 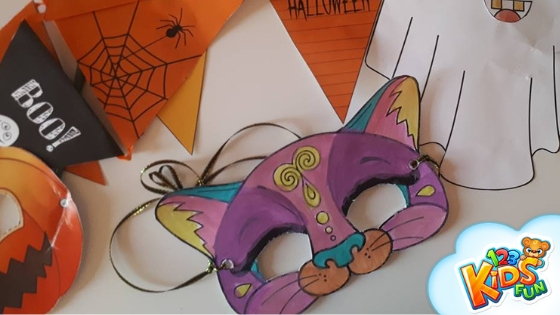 My daughter and I can’t wait to see all those scary Halloween costumes and creepy Haloween decorations so we have just started with Halloween Party Decorations – today we are going to cut the Halloween Masks. We are going to paint them and color. Frida chose cat mask, I’m thinking about Frankie one… Choose whatever you like and have a splendid time together!